Police work at the scene of a police-involved shooting overnight Friday in the 1200 block of South 51st Street in Kingsessing. A man was fatally shot by police in Southwest Philadelphia early Friday morning after police say he charged at an officer with a knife. 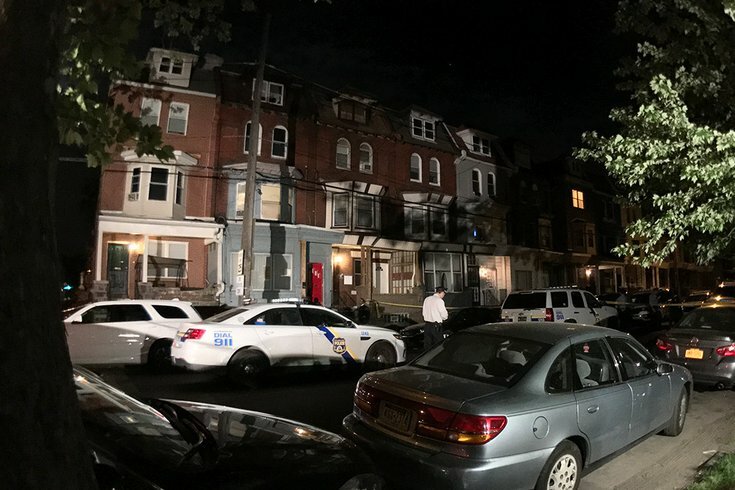 Philly.com reports the incident happened around 3 a.m. on the 1200 block of South 51st Street. Police were serving a protection from abuse order to the man. Police told 6ABC the man left the home they were responding to but showed up again later armed with a 10-inch knife. 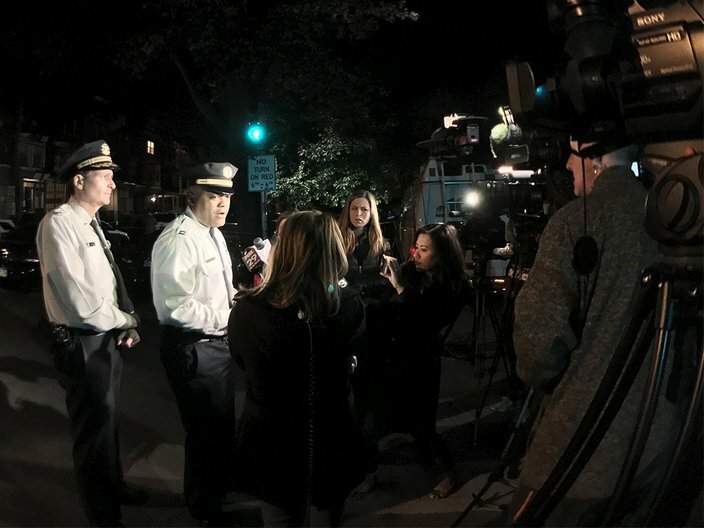 Police officials update the media overnight Friday at the scene of a police-involved shooting in the 1200 block of South 51st Street in Southwest Philadelphia. "He recovers very quickly, lunges at both officers again with knife," said Philadelphia Police Capt. Sekou Kinebrew. "The other officer then discharges his weapon." The suspect was taken to the hospital and pronounced dead. In accordance with standard department policy, the officer whose weapon was used has been placed on administrative leave as internal affairs investigates. A police spokesperson told PhillyVoice more information would be released later Friday.